Muslin cloths and baby wraps are indeed fashionable. You can give this as your gifts for baby shower. This soft and comfortable cloth can be used as a baby wrap or as a nursing cover. It is also ideal for use on cribs and strollers or as swaddling cloth for baby. Very trendy and in-fashion, a baby blanket is a nice piece of cloth that will keep the baby warm. It is available in a variety of designs, colors, prints, and style. Moms who are fashionable and trendy will love to have one of this Mermaid blanket as a baby first-month gift not just for keeping warm during cold weather but also for Instagram-worthy pictures. These silicone bibs are a great baby shower gift because they are indeed ingenious. With the adjustable closure, made from silicone materials, easy to clean and wash, and designed to catch food falling from the baby’s mouth, this baby gift item is ideal for babies from six months to five years old. The best about nursing pillows is that moms can lift up the baby just at the right height comfortable for nursing and breastfeeding. 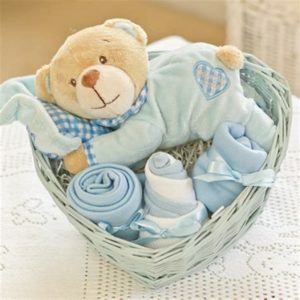 If you are looking for a trendy gift for a mom expecting a new baby, this one is just great for baby hamper delivery. Cloth diapers are not really new. Before disposable diapers were used, most parents and grandmas used cloths as baby diapers. The only difference with trendy and modern designed cloth diapers is that they have attractive prints and designs. If you know that the trendy mom will love cloth diapering, why not send newborn hamper of cloth diapers in beautiful and attractive prints on baby showers. There are lots of trendy, fashionable, and modern baby gifts available in the market nowadays. 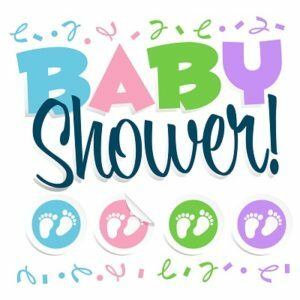 If you want to make the new mom feel special with your gifts on baby shower, don’t forget to choose these items for your Baby Hamper delivery.